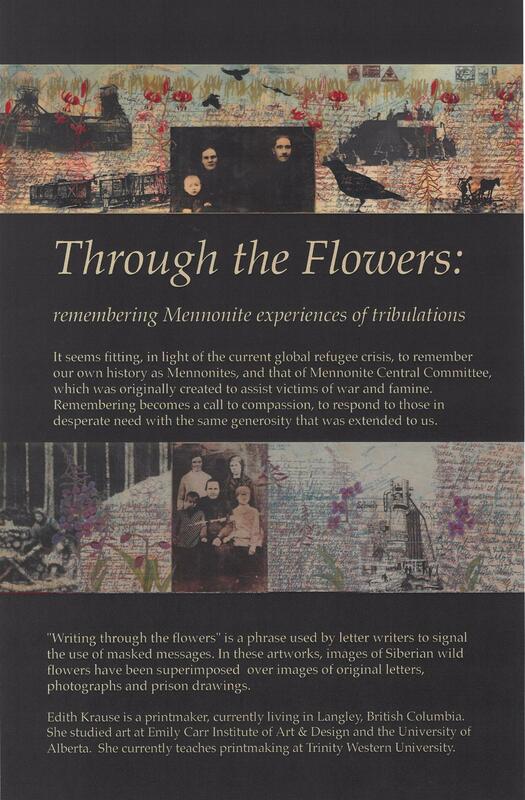 You Are Invited to our Next Gallery Exhibit! Mennonites began settling in the Fraser Valley in the winter of 1927-1928. In the following two decades, Mennonite churches were established throughout the Fraser Valley and the Vancouver area. The Church played a central role in the lives of Mennonites in the Fraser Valley. As soon as Mennonite families arrived in the area, they began gathering in homes and schools for worship. In spite of the Great Depression of the 1930s, Mennonite families sacrificed financially so that they could build places of worship and Christian education. Mennonite churches were functional buildings built of wood. Unlike the churches of other Christian groups, Mennonite churches were plain and unadorned with stained glass, carved pulpits, and bell towers. Buildings were modified, expanded, and replaced when necessary to accommodate continued growth, and daughter congregations were established to allow for families in close proximity to each other to worship together without the need for traveling long distances. Only a few of the original buildings remain, and of those that do, other Christian groups now worship in some of them. 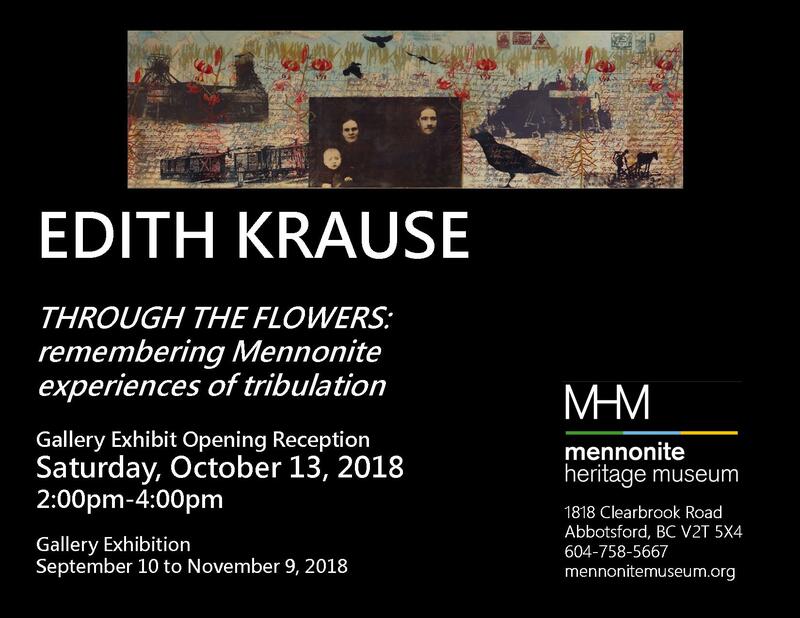 The images in this exhibit illustrate the simple faith of the early Mennonite settlers and the sacrifices they made to preserve and pass on their faith to the next generations. 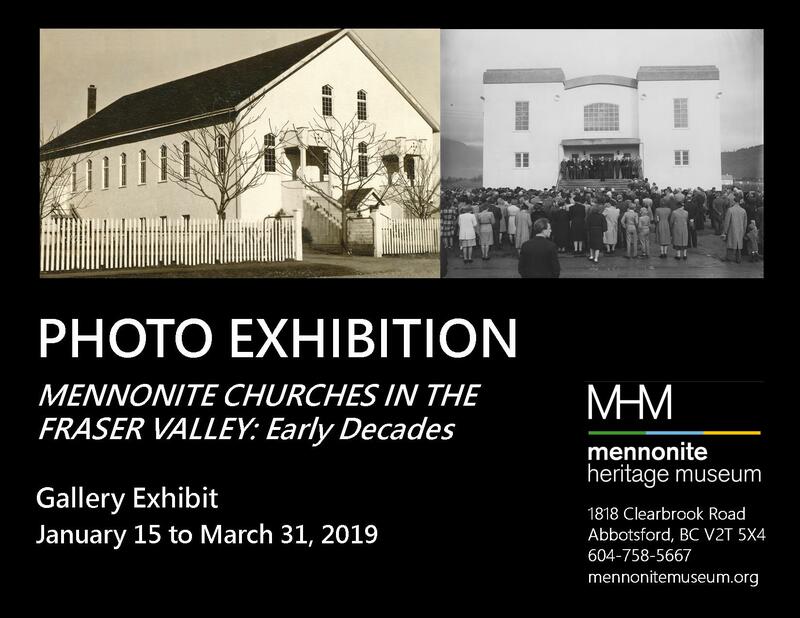 The photo exhibit focuses on the Yarrow, Greendale, Abbotsford, and Chilliwack areas and on congregations established throughout the late 1920s, the 1930s, and the 1940s. 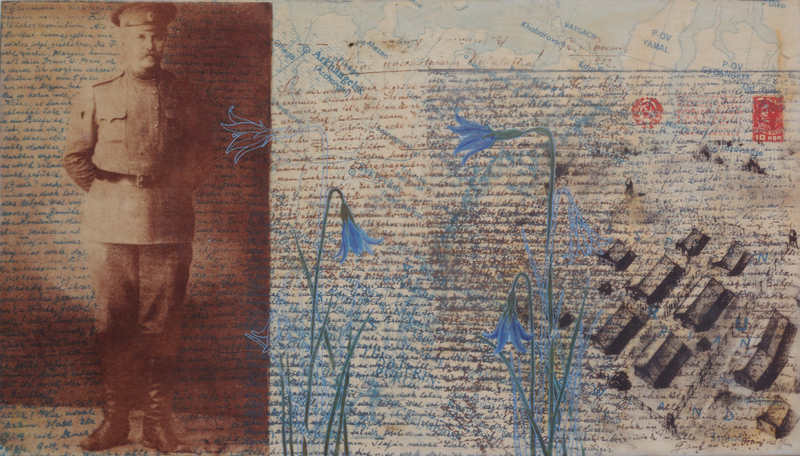 YOU ARE INVITED to our Gallery Exhibit Opening Reception! Ruth Derksen Siemens and Edith Krause will present. This is a free event and you can bring family and friends!